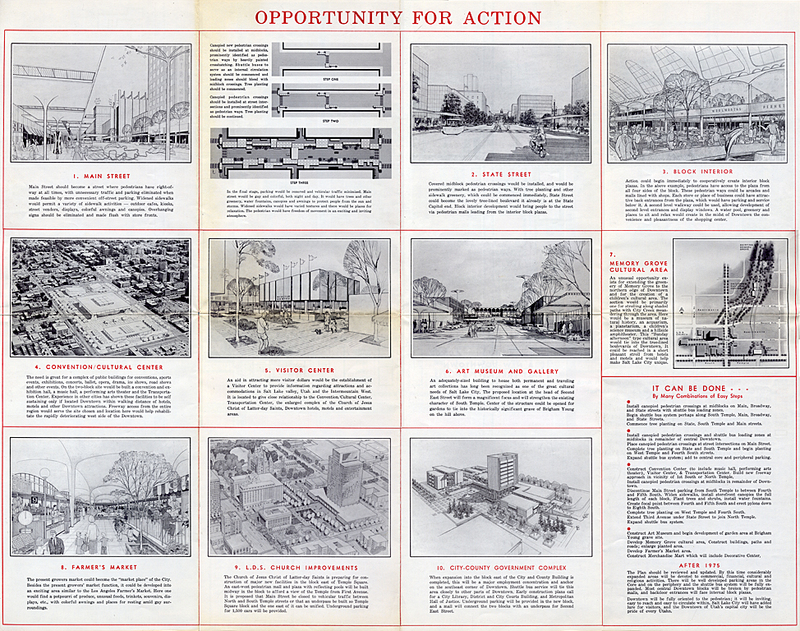 Description Back ("Opportunity for Action"). Image Source Downtown Planning Association, Inc.. "Downtown Salt Lake City's Second Century Plan." Salt Lake City: Downtown Planning Association, Inc., 1962. Digitization Specifications Scanned with an Epson Perfection 1260 flatbed scanner and saved as uncompressed TIFF. Color corrected manually in Photoshop CS and converted to JPEG.